Listing data is updated approximately every 12 hours. Some properties which appear for sale on this website may subsequently have sold and may no longer be available. My roots run deep in the Northern Black Hills. 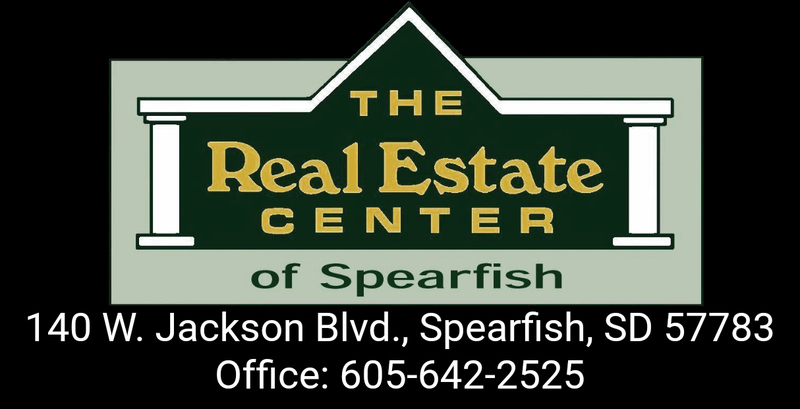 I was born and raised in Belle Fourche and have lived in Spearfish since 1980. I raised my 2 children here and have been involved in ownership of many businesses over the years. I am a property owner and believe in the value of real estate investment in the Northern Hills. Over my 25+ year career I have seen many changes in our market, most of which have been very positive for our community. Even in a down market, our area remains strong! I began my real estate career in 1992 when the 1st Real Estate Center opened for business. I was one of the first Realtors in the Northern Hills to earn my CRS (Certified Residential Specialist) degree. I have always strived to further my education and professionalism and went to work to obtain my GRI (Graduate Real Estate Institute) and ABR (Accredited Buyer Representative) designations. I’ve been active in my local Board of Realtors and served as President in 2000. I have been involved in my community through CASA (Court Appointed Special Advocates) serving on the Board of Directors and serving as President of the Board twice, in my 10 years on the Board. I was one of the founding members of RAM (Realtors Against Meth), bringing awareness of the problems of Meth plaguing our young people. I served as a Sunday School teacher at Countryside Community Church for 10 years and still volunteer in Promiseland, our children’s ministry. I was recently elected to serve on the Board of Directors for RFK (Realtors for Kids), which is an amazing non-profit organization helping to meet the needs of local children. Real estate has been my full-time profession and I have earned a reputation as a hard working, honest, professional Realtor.